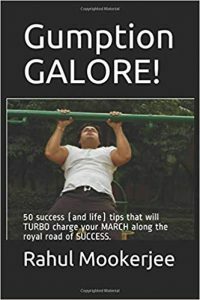 50 success (and life) tips that will turbo charge your MARCH along the royal road of SUCCESS. Before I start this, I’d like to ask you a question. Don’t have any set goals in life? Unable to set any? Unfit, obese, and don’t know where to turn for motivation – – or practical advice? Constantly feeling “down”, and not sure where to turn? An entrepreneur or business person that is tired of all the “get rich quick” and “pie in the sky” pseudo-motivation out there? Are you hungry – nay – STARVING – for some REAL world motivational tips – stuff that has been working for ages, and stuff that works even TODAY, but cannot find it amidst all the other garbage out there? Depressed about not being able to achieve your goals? Never having any motivation to “git her done”? Easily swayed and dissuaded from your goals by family members, colleagues, or others? Not being able to attract what you want in life despite using the “Law of Attraction” religiously and on a daily basis? And if you’ve answered YES to any of the above questions well, let me start with this – you’re not alone. There are plenty of people in the same boat as you are. You’re not alone, and whats more, you can change your situation with the right thinking and right ACTIONS; and the changes are sometimes almost instantaneous and incredulous at times. All you need is the right advice – – and to BELIEVE IN – and FOLLOW that advice. Now, I give you a lot of this advice through my daily emails (for those that haven’t already – sign up for my daily newsletters – they’re completely FREE) and motivational/fitness tips. These tips are read by folks all over the globe every morning – and as one reader recently told me, people have come to “look forward” to my daily tips in their morning Inboxes. But although I’ve done a darn good job of providing you this advice through my blog and Twitter accounts, there is one thing that I hadn’t done – until now, that is. I’ve been having a dream about it – recurring dreams, so to speak, and those that know me know that I’m a spiritual person, and if my subconscious tells me something, albeit in its own mysterious and hard to decipher “pictorial” language, then I just do it. For whatever reason though, THIS particular project had been relegated to the back burner, and a couple of days ago, as I was searching for the answer to “what is my next product” question (while going through a lot of reader feedback etc), it came to me – after a conversation with my buddy Marc (the African Silverback Gorilla, as many of you know him as, hehe). And then it struck me. This idea had been rattling around in my brain for a while and as soon as Marc said what he did, I KNEW this was the right time to put out a product on this. Heck, I didn’t even have to search “long and hard” for a title – it was already there – and it is in this spirit of helping you to achieve MORE – and get what you WANT OUT OF LIFE – that I bring out my second book in the self help series – GUMPTION GALORE! My first book “Zero to Hero” contains 25 real world workable motivational tips that have helped many a person realize their dreams – and “get off their asses” and get things done – and move further along the royal road to success – and I figured I’d go one better this time. I figured I’d give you a digest of my best stuff thus far – stuff that a lot of my daily readers have seen in some way, shape or form – and stuff that EVERYONE should have by their bedside for a daily motivational read. And so I’ve put together this little gem of a read – an absolute must grab if you’ve answered yes to any of the questions above and even if you haven’t – this contains FIFTY motivational tips – REAL world tips – tips that are an absolute MUST to read even if you’re not currently struggling. If you ARE struggling – take heart – you’re not alone. I’ve got your back – and so do the rest of the 0 Excuses “crew” – and that spirit is embodied in this book – you’ll not just read it, but you’ll FEEL it from start to finish. It’ll literally motivate, energize, and inspire – all without you leaving your chair. And if you’re currently doing well – these tips will propel you to the NEXT LEVEL of success anyway. But wait a minute, the casual reader might ask. How exactly do I know so much? Why exactly will what I say, motivational as it sounds, work? Well, because I’ve literally been in the trenches, my friend. And as I’ve often said and continue to say, experience gleaned from the SCHOOL of HARD KNOCKS trumps ALL. I’ve quite literally been through the wringer, beyond, and back. If there was ONE term those that know me could describe me with it is this – someone who has been there and done that – and someone who has risen to success and FALLEN back down – and risen back up again – many a times! That last bit is what most folks won’t tell you. Most folks speak about their success, but will not tell you about the hard times. Well, that ain’t me, my friend. When I was in China I created a Wechat group called “Keeping it Real” – and keeping it real is what I do in REAL LIFE too as opposed to on the dumb phone. And keeping it real means telling you BOTH SIDES of my story – and how I AROSE UP – and OVER the many obstacles that life has placed in my path thus far. But before we go any further, here is a tip in itself that might motivate you. There is no SUBSTITUTE for PERSISTENCE! The person that makes persistence his watch word discovers that “Old Man Failure” finally becomes tired and makes his departure. Failure cannot cope with persistence. 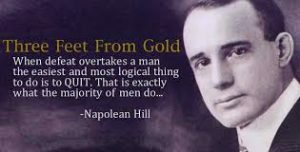 Sage words indeed, and these were said by Napoleon Hill, best selling author of Think and Grow Rich, a classic that has inspired many a success. And after it’s all said and done, THIS ONE QUALITY is what got me over the hill in terms of surmounting the many obstacles I’ve had to face. And I’m not alone. Though I’m no Ford or Edison, or any other of the “great achievers” down the ages, I’m certainly in the same company as far as persistence goes – and if YOU take the above words to heart, so will YOU, my friend. As I often say, fate doesnt hand over the keys to success easy. And funny as it might sound, it gets HARDER as you go on towards the top of that mountain – but remember – once you GET there – that vista you see cannot be described in words! Thats just how it goes, and now in terms of obstacles, you ask? To be broke. So penniless that it was a toss up (at the time) between buying milk for my daughter and cheese for the entire family. To have family and friends (well, most) do the exact opposite of what I thought they would do when I set goals for myself – – that being to encourage me. To beat my head against the wall in frustration when “nothing seemed to work” despite my numerous tries and iron jawed attempts. I know what it feels like to be born with terrible genetics, a body that lumps on fat about three times as fast as the average person – – family that castigated me for trying to get fitter and stronger, and yet emerge past all that unscathed and victorious at the end of the day. I know what it’s like to start your own business, and be told (repeatedly) that you’re no good – – and then SUCCEED at the business. I know what it’s like to have a young family when the chips and down, and NO source of income coming in. I know what it’s like to start something I’ve never done before – – get better at it – – and then become a resounding success at that. I’ve literally run the gamut of things over my entire career. Writing, I.T. support, self help, sales, I.T. development, web design, English teacher – – you name it, and I’ve done it. And while I do NOT advocate being a jack of all trades to anyone, the fact is that all this has given me more than enough background upon which to base my observations on and more than enough REAL world experience to bring you as well – – experience you can use and benefit through without having to be put through the grinder in that regard. And all this just off the top of my head. When you have it rough, or if you ARE having it rough, what will YOU DO? 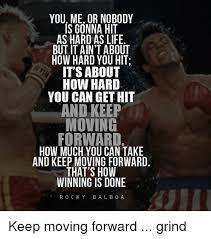 Will you give up when life knocks you down – or will you get back UP – and knock life BACK – and give it not one, but TWO – square on the JAW – and keep on “keeping ON”? The answer to this question could well determine where you’re headed in life, my friend. And just so you know – I don’t tell you my story so you can “feel sorry for me” or say “I’ve had it rough”. I might have – but I’m certainly not the only one out there in that regard. Ford went literally bankrupt not once, but TWICE. Edison’s laboratory once burned down, and he had no insurance for it. “What will we do now”, his wife asked? And it is THIS spirit of overcoming adversity that YOU TOO, my friend need to inculcate – in order to enjoy LASTING insurance against FAILURE! If you’re struggling in any area of your life – sales, fitness, relationships, biz, or just about any area – then the tips in the book are for you and will help you. If you need that little bit of motivational caffeine to “jump start” your day and BANISH the BLUES (which lets face it, we all have a case of the blues every now and then) – – then THIS book is a must read. If you’re interested in REAL world, “keeping it real” – and PROVEN – motivational tips and messages that will you help YOU get more out of life – and get the life you DESERVE and were BORN to have, well, then this book is for you. And so forth, my friend. Put this little monster by your bedside, and read the stories the first thing after you wake up – and you’ll be literally BUZZING all day. Alternatively, make a practice of reading it last thing before bed, and you’ll go to bed in a powerfully energized ‘git her done’ mindset, and wake up the next morning RARING to go! I should know – when I was writing this, I woke up early especially to write this (after a couple of vibrant dreams about it). It’s 8:13 A.M. – about three hours before I wake up normally (those that know me know I’m NOT an early rise) – and yet here I am, sitting upright at my desk, pounding these words out to you as I put the book online ready to be sold. It’s that motivating – that inspirational – and you will NOT want to miss it. 50,000 PLUS WORDS of HARD HITTING, “keeping it real” advice on LIFE and SUCCESS that YOU can put to use INSTANTLY in the REAL world – and get results accordingly. 50 motivational, workable, and real world PRACTICAL tips that will put you firmly on the road to success and give the bird to “old man failure” every time he rears his ugly head. This book will build determination, spirit, courage and GUMPTION in spades! This book will inspire you to keep fighting – and keep going – despite all the odds stacked up against you! These tips will tell you about MY own story – and others that have been in the trenches before me – and how they GOT OUT of whatever predicament they were facing. This book will teach you – that YOU, and YOU alone are ultimately responsible for either being a “drifter” and watching others “take the prize” – – or RISING up – – and making life write a ticket – – on YOUR OWN TERMS! You’ll eliminate procrastination from your life – and get MORE done – in LESS time. You’ll infuse a new energy into your current projects and bring ’em to life faster – with spectacular results! You’ll learn the invaluable value of that ONE quality that I spoke about – that being PERSISTENCE, which at the end of the day has been responsible for making more multi-millionaires on this planet than anything else! You’ll learn about the qualities that made people successful before you – and most importantly, you’ll learn this – it’s ALL IN THE MIND – and when I say “in the mind”, its not what you think. You’ll quickly figure out that “positive thinking” isn’t what it’s all about – and you’ll see how positive thinking can actually be self defeating in many cases. You’ll learn about visualization, and why this is a must for EVERYONE in any field whatsoever. You’ll see how you can use the power of EMOTION – and WORDS – to literally catapult yourself to dizzying heights of success in whichever field you choose. And much more, my friend. If you were to ask me to put a price tag on this information, I’d say PRICELESS. Yes, the information I’m giving you is literally PRICELESS – and WITHOUT comparison, to say the least in terms of modern day “motivational tips” that you constantly see out there. I mean, think about this. Just ONE of these tips has the potential to take you by the very scruff of your brain and twirl it upside down until YOU realize your TRUE worth – and then go out there and GET what you DESERVE out of LIFE! That sort of information is priceless, my friend – and as for the time – and years spent in “finding it out first hand” – while in the the trenches, so to speak? I’ll never forget the times I was doing well – so well that buying new things wasn’t just something I “considered” – I just went ahead and DID it. And I’ll never, ever forget the times I’ve had to choose between buying milk for my little girl – or bread and cheese for the entire FAMILY. This experience is literally worth it’s weight in gold, and to close things off – would I choose to “do things differently” if I had a chance? No way, my friend. Life is a great teacher, and it’s only by learning LIFE’s LESSONS that you can catapult yourself towards the top – and as Napoleon Hill says “write your OWN ticket in life”. I could easily charge you $3000 for these tips. Or even $5000. They’re that valuable and have that much long term potential, but guess what. I’m not going to charge you even half of that. Hell, I’ll go one better. I’ll charge you a FRACTION of what it would normally cost you to get these tips elsewhere. I’m giving it away to you for $49.97 – – a literal STEAL, my friend, given the value I’m offering. Invest in this little life changer of a book right now, and write back to tell me about the changes in your mentality and the SUCCESS you start experiencing in ALL areas of your life almost instantly. I’ll share your tales with the world!